Michael Franti is in recycle mode on "Sound of Sunshine"; from the carbon copy of last year's hit single "Say Hey" in the new lead single "The Sound of Sunshine," to the reused lyrics in "Hey Hey Hey" to the dated raygun sound effect on "Only Thing Missing Was You" that Steve Miller used on the intro to 1976's "Jungle Love." 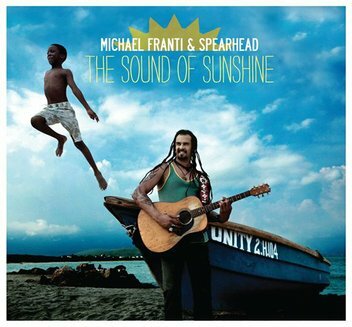 But the sound of sunshine seems to be exactly what Franti and company have captured on this album -- happy, upbeat mashups of reggae, hip-hop, rock and even an attempt at anthemic U2 grandeur on "I'll Be Waiting." Only the Spearhead faithful will notice the recycling. The rest will find it hard not to get sucked into the positive and buoyant songs -- something we all could probably use right now.